Senators introduced 154 measures on the final day of bill introduction Jan. 23. 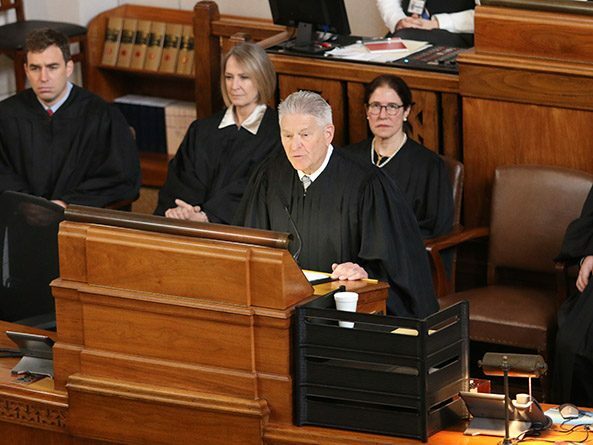 Nebraska Supreme Court Chief Justice Michael Heavican commended the state judicial branch’s great strides in increasing access to justice in his State of the Judiciary address Jan. 17. Senators reconvened Jan. 17 to introduce new bills. Senators reconvened Jan. 16 to introduce new bills. Gov. 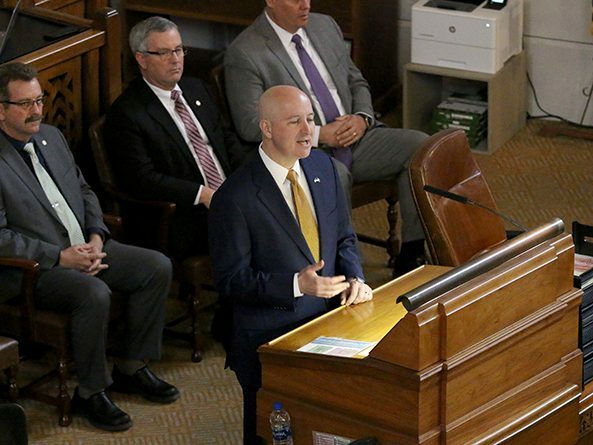 Pete Ricketts revealed his budgetary and legislative priorities for Nebraska during his State of the State address Jan. 15. The governor highlighted proposals to restrict state spending, provide property tax relief and create career opportunities. Senators reconvened Jan. 14 to introduce new bills. Senators reconvened Jan. 11 to introduce new bills. 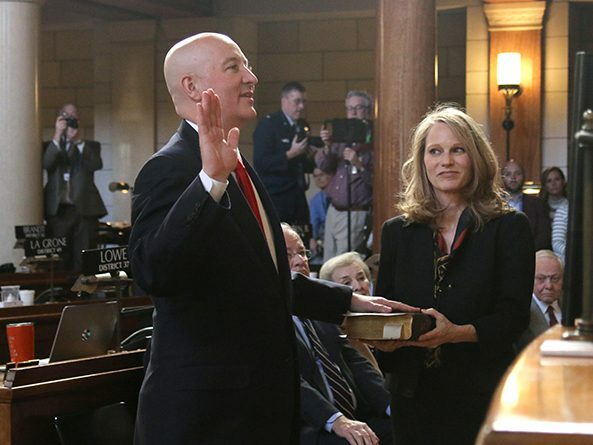 Surrounded by family, lawmakers and the media, Pete Ricketts was sworn in for a second term as Nebraska’s governor Jan. 10. Senators reconvened Jan. 10 to introduce new bills. 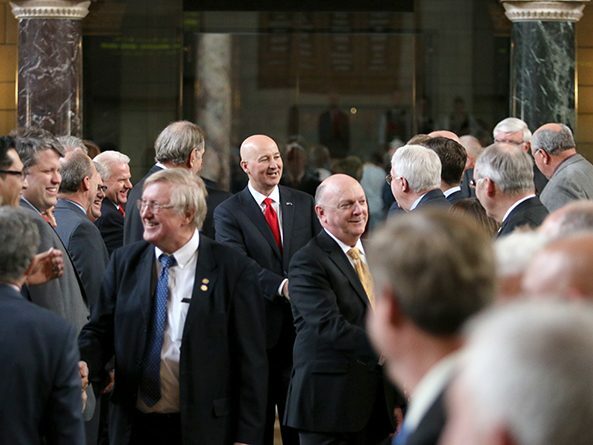 The 106th Nebraska Legislature convened Jan. 9 for its 90-day first session. 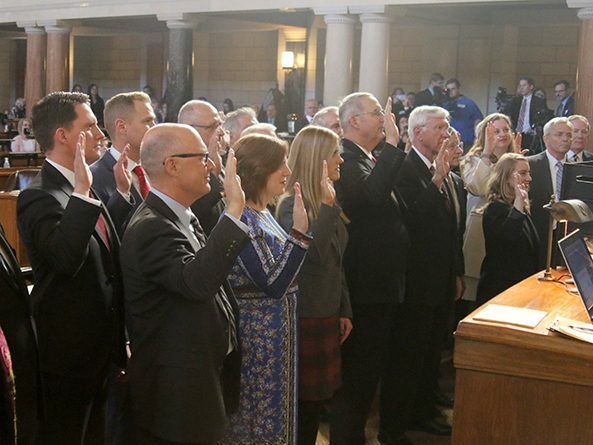 Thirteen new members and 13 re-elected senators were sworn into office, and lawmakers elected chairpersons of the Legislature’s standing committees. The second session of the 105th Legislature adjourned sine die April 18. On the final day of bill introduction, senators introduced 57 bills.